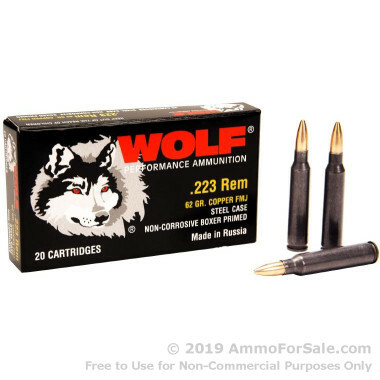 When it comes to .223 ammunition, there are few manufacturers who stand behind their product to the extent of Wolf and with years of happy shooters who've happily fed their AR-15's these rounds, it's easy to see why. 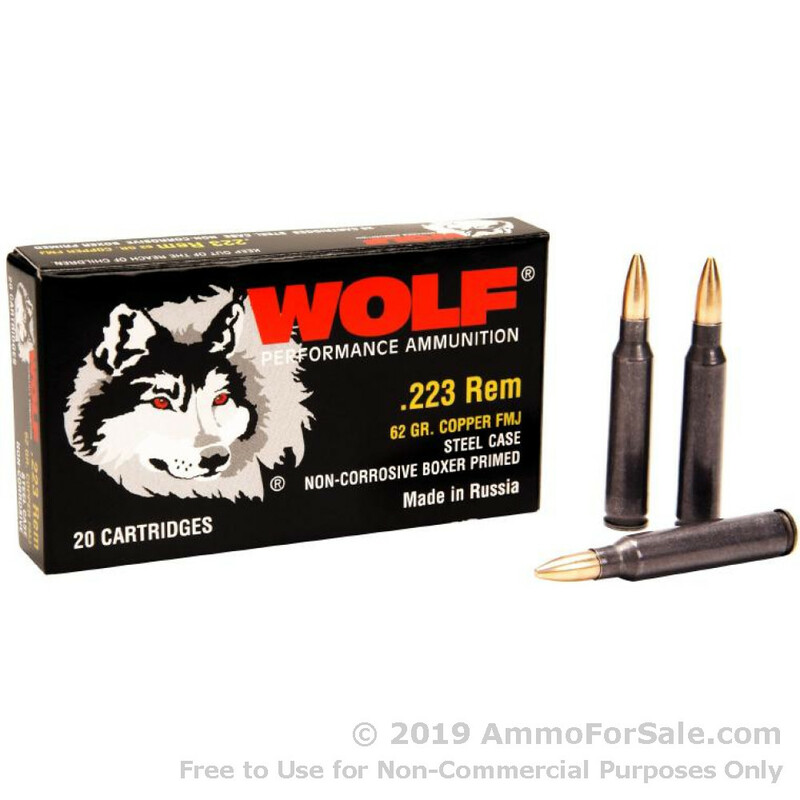 This .223 ammo for sale by Wolf is an awesome round at a very economical price. With a 62 grain bi-metal jacket (FMJ) projectile that is created by pressing layers of copper and steel together, you should expect the sort of performance you'd expect from a FMJ .223 round. Boxer primed and steel cased, these rounds aren't ideal for reloaders but they are a great choice if you're looking to get the most out of your training dollar. Ballistically, expect muzzle velocities of little more than 3,000 feet per second out of your AR-15 and if you're shooting with a 1:7 twist barrel, this ammo is ideal, although these rounds can still be fired if you have a different twist rate. 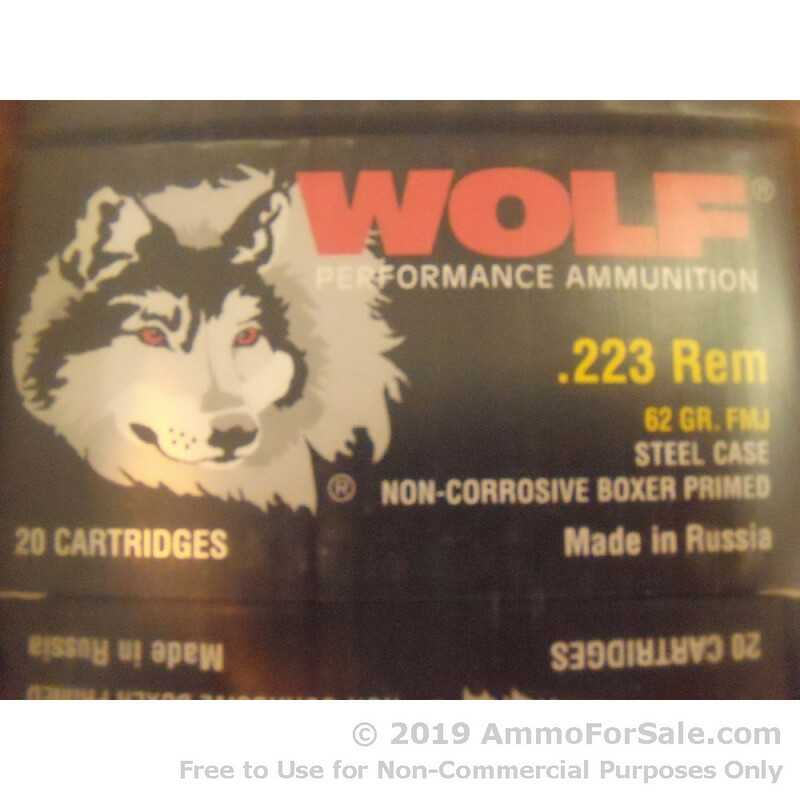 Wolf's Polyperformance line is produced in Russia comes with Wolf's polymer coating that helps ensure smooth feeding and extraction from your firearm. Guaranteed to please shooters, if you aren't happy with the performance of these rounds, you can simply return unused rounds to Wolf for a refund as part of their 100% performance guarantee. Expect these rounds to be delivered to your door in 25 boxes, each containing 20 rounds each so you can easily divide your 500 rounds up if for some reason you don't want to shoot it all at once! Or, if you're looking for even more 223 ammo, check out the 1,000 round case quantity of the same rounds!